As our memories of snow and a cold wet winter early spring is receding in our memory, gardeners know that summer is around the corner and we will have to be aware of how to keep our gardens and especially our containers well watered to thrive. This article is about containers and ways to increase the effectiveness of watering without watering everyday in the hottest weather. 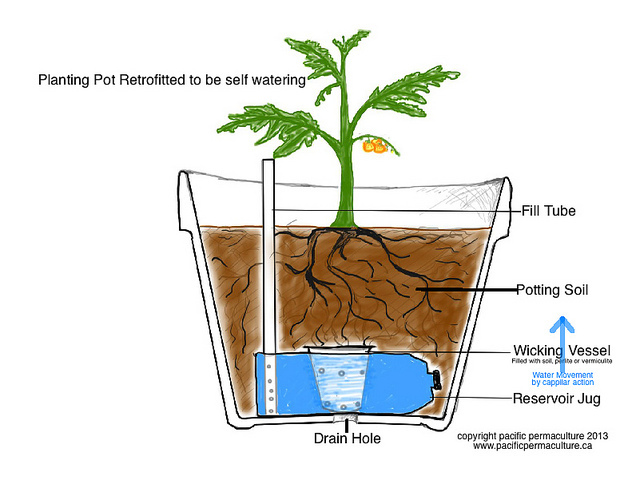 The first solution is to buy containers with reservoirs, but not everyone can or wants to buy all new pots. 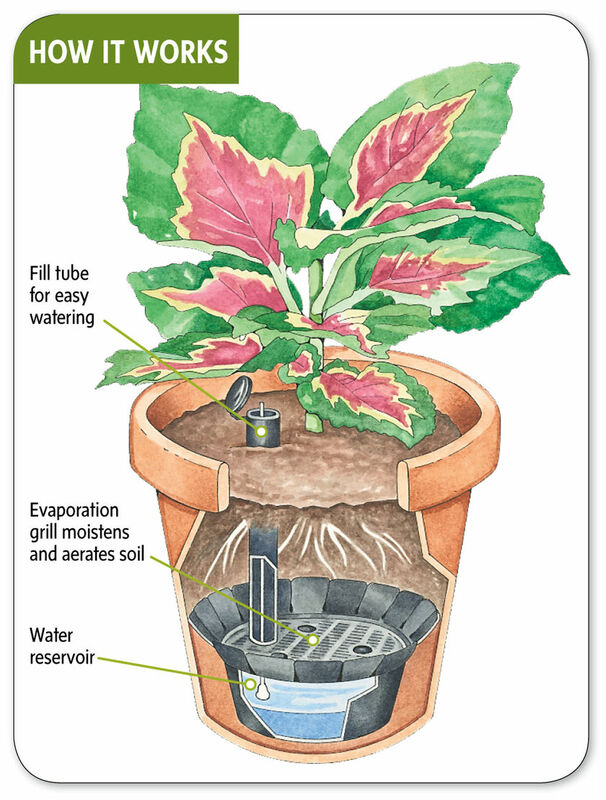 Self watering pots cut the amount of time spent watering significantly and allows the busy gardener the flexibility of watering and forgetting until the next scheduled day. No more, when should I water, how much is needed, did it rain enough, etc. So investing in a new pot or an insert is one way to solve the problem. You can make your own containers if you are a DIY person. The link below has a great blog on this project. Solution 2 is to use the gel products that expand with moisture. However, read the directions carefully or you will have a pot full of gel that has pushed out the soil and newly potted plants. 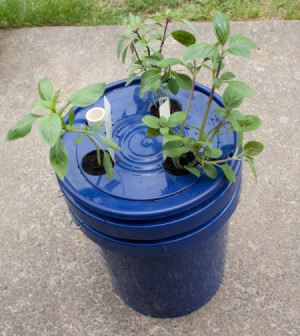 Solution 3 Drip irrigation for your pots with a timer. Drip irrigation is a great way for the gardener to not have to worry about the weekly or even monthly watering chore. It is visible in and around the containers so it may be objectionable to some. If so using the drip irrigation for vacations or trips you take would be an ideal solution to saving your plants. So gardeners, spring is here and we will be taking out our containers to plant. Remember, watering everyday is not always fun. So look for some alternatives to your watering chores that will give you more time to enjoy the garden.